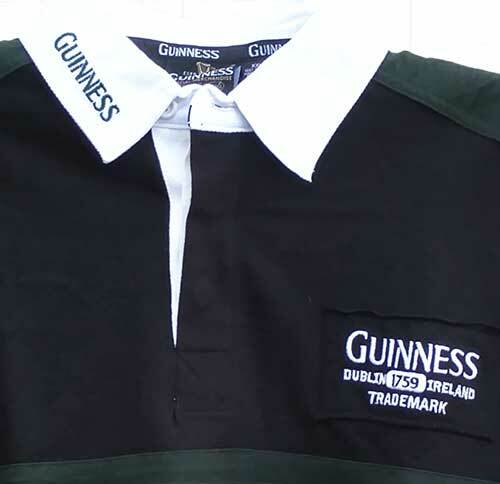 Guinness rugby shirts feature traditional styling such as rubber safety buttons and each rugby jersey evokes the mystique that is Guinness. 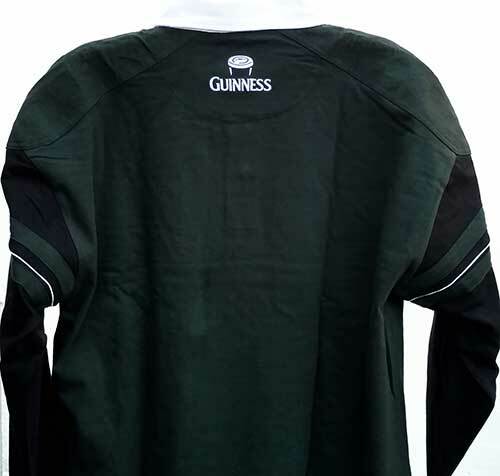 The Irish Gift House is pleased to offer this assortment of Guinness rugby shirts that are both functional and stylish. You may select from both long sleeve and short sleeve Guinness rugby jerseys and you will also find our Guinness hockey jersey on this page of our site. You may also view all our Irish rugby shirts together on one page; here you will also find our Jameson rugby shirts. Additional, but related, gift ideas include our Guinness polo shirts and our assortment of Irish polo shirts; The Irish Gift House has a nice selection that includes several with shamrock designs. Also consider looking at our selections of Irish coat of arms clothing; you will be proud to give these personalized designs as gifts, but we bet you will be tempted to keep one for yourself. For more casual wear we also have an assortment of Guinness t-shirts and Irish t-shirts; the latter group features several with Celtic designs. You may also wish to view our assortment of Irish sweatshirts where you will find a Guinness sweatshirt as well. Additional clothing options include our categories of head wear; a couple of options are the Irish caps and the Guinness caps. Naturally, we also offer the woolen Irish flat caps. These hats are traditional designs that are made in Ireland by John Hanly and Company in County Tipperary.